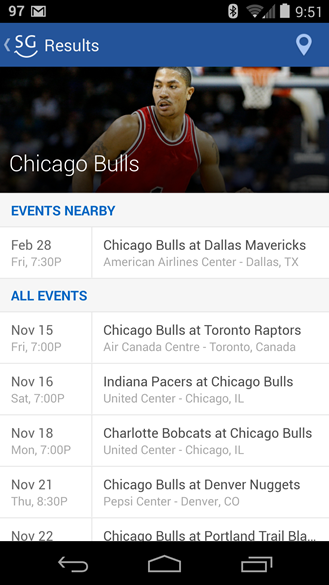 SeatGeek is a search engine for tickets that scours hundreds of websites at once – from big sites like StubHub, TicketsNow and eBay down to individual brokers – to help you find the absolute best deals on sports, concert and live events. 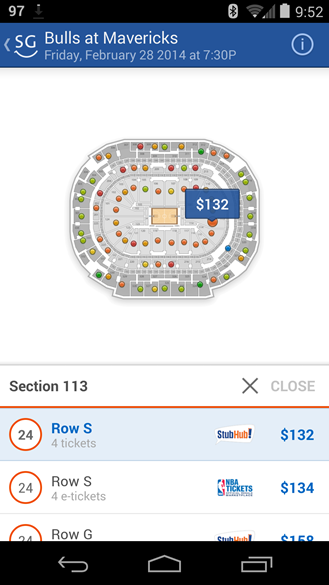 SeatGeek ranks all ticket deals with a 1-to-100 Deal Score, so you can quickly find the tickets with the most bang for your buck. 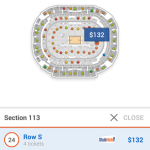 SeatGeek’s interactive seating charts make it easy to pick exactly where you’d like to sit, and the app’s view-from-seat photos let you know exactly what you’ll see when you get to the event. 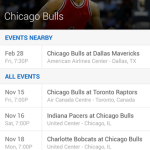 SeatGeek for Android is 100% free, with no fees. 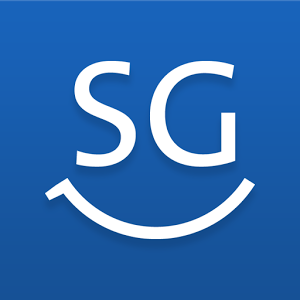 Use it to save time & money the next time you want a sweet deal on concert tickets, sports tickets, Broadway tickets, theater tickets and more! • Amazing ticket deals for over 140,000 events — from concerts, music festivals, NFL, NBA, and NHL games to Broadway and theater performances.